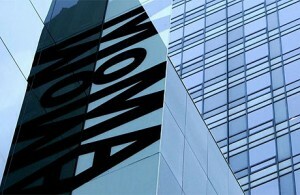 NYC’s MoMa (museum of modern art) was in need of boosting memberships so they increased their awareness from commuters going to Manhattan from Brooklyn. The museum took over the Atlantic Avenue/Pacific Street subway station with art. // A similar campaign ran at the National Gallery in the UK in association with Hewlett-Packard, MoMa replaced every ad space with reproductions of work from its permanent collection.